To raise awareness of the hazards of underground services we are launching the “In Too Deep” campaign. We expect our partners to take part and launch the campaign in week commencing Monday 3rd April 2017 with a safety briefing. The briefing includes a film based on a real event and is aimed at all project employees and delivery partners. 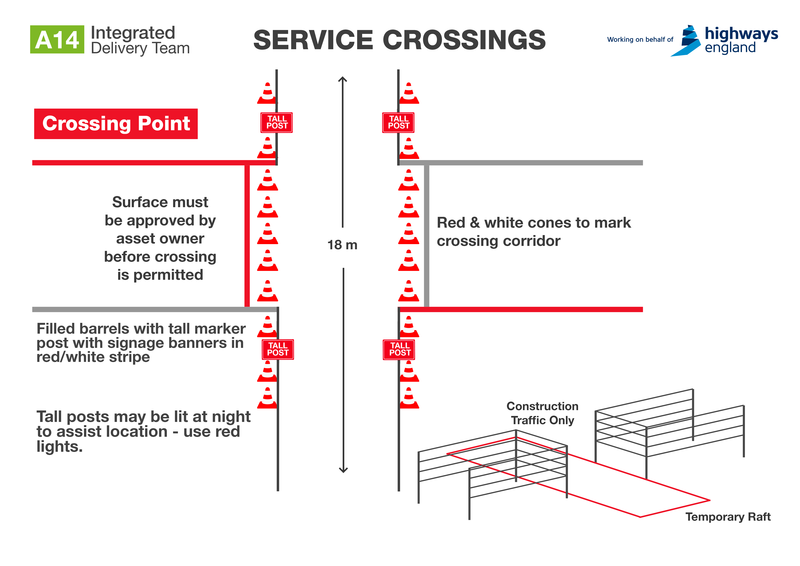 Throughout the campaign we aim to provide best practice, share knowledge and lessons learned from real life case studies and finally we will review Raising the Bar 9 – Underground Service Avoidance. 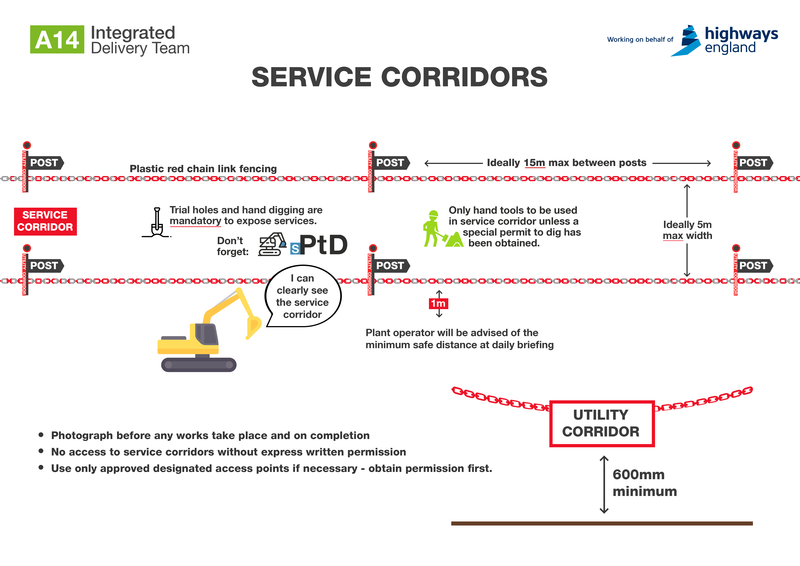 It is important that we examine how we design and plan our work and the procedures we have in place to prevent service strikes when we excavate. 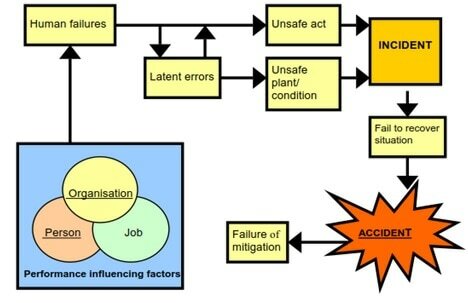 It is recognised that people and what influences them to behave in certain ways on site are also key to controlling risks. This campaign is designed to get people to stop and look at what they do and how they do it before just going ahead to “get the job done”. Most importantly we need to speak with those who do the work as they will have valuable ideas to contribute in making working around services safer. As we move into month 3 of the avoidance of buried services campaign our focus is on safe excavation and monitoring and review systems. Examples of permits, methods of excavation and associated control measures are all useful resources included. We would like to encourage supply chain partners to send in best practice ideas so that this can be shared across the community. 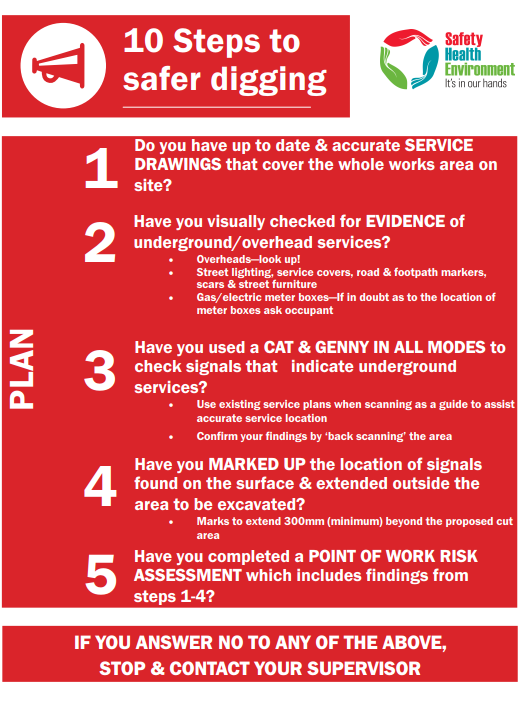 And to start the ball rolling Highways England have adopted the USAG (Utility Services Avoidance Group) checklist as the best practice approach for ALL investigations of service strikes. A web based survey will be launched during the first week of month 3 to give everyone to give feedback and also to facilitate the sharing of good practice. Here is the survey link, we really want your feedback! - Area 10 study relating to the use of CAT and Gennys with data loggers fitted. This has resulted in a considerable reduction in service strikes. - A14 study regarding cable diversions and how the Permit to Dig system has been amended to increase safety. When the diversion work is complete the Permit is left open until the site drawings are updated, and only when this has been completed can the Permit be closed. - Balfour Beatty study relating to the use of excavator mounted cable location devices. - Balfour Beatty have also provided a presentation on the correct use of CATs. 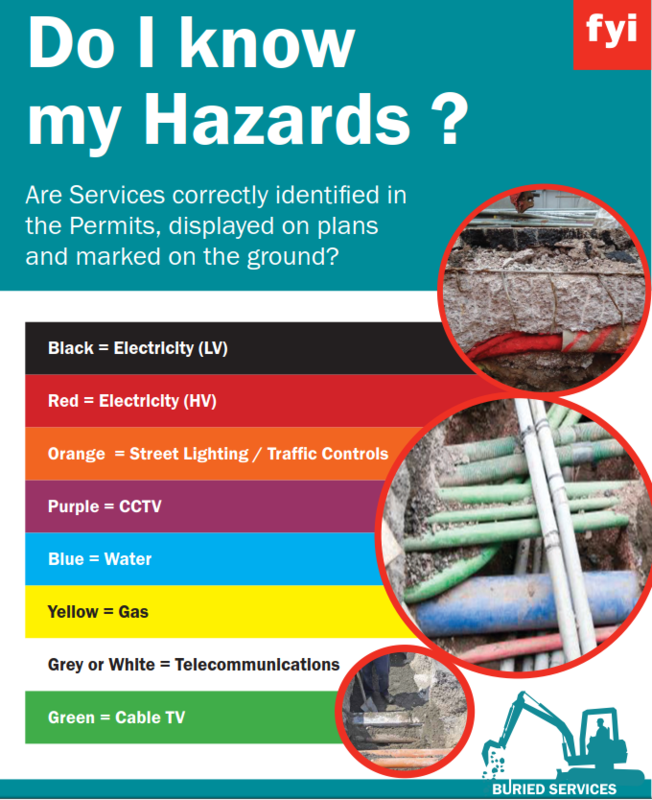 Please note this may need to be amended where contractors are using a different model but it forms a useful basis for refresher training for authorised staff. To assist with influencing human behaviours there are more tool box talks, Safety Alerts and presentations to deliver, including one on Statutory Undertakers who can pose specific risks on site. - Who the appointed underground services co-ordinator is? - Are we happy that the co-ordinator is competent, experienced and trained? - Is the co-ordinator aware of all of their duties? - Do the trade contractors know who the co-ordinator is and the procedure for works being authorised? An example of an underground services co-ordinator’s appointment letter is uploaded to the website which can be used as a guide. And the CITB GD12 Permit to Dig Template is included as an example. 3. Introductory Presentation “In Too Deep” (Please use with the video 'Doug's Story') This takes a long time to download but is well worth the effort.